Be a part of reconnect project, Say no to internet for one day - no facebook, no twitter and no Google on Sept. 2, 2012. Be original, accept the reconnect challenge by turn off electronics world. Are you ready to be a part of reconnect project, Say no to internet for one day - no facebook, no twitter and no Google on Sept. 2, 2012. Be original, accept the reconnect challenge by turn off electronics world for ONE DAY (...very difficult) and enjoy the real natural world. 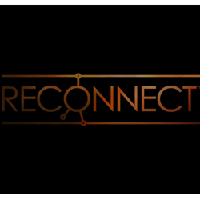 Ok So its time to be offline, join Reconnect Project’s Facebook page. On sept. 2 switch off your mobile, internet and electronics media and participate in real world advantures, Take pictures of your Loving one's, sing your favorite songs, feel the real taste of nature around you, meet your friends & do whatever you can without any interference of e-life. Firstly sorry there is no prize for this challenge, just save our real world. So it's sept 3, 2012 and time to share your last day's happy moments, connect with e-world again and share your experience on reconnect fb page. You have some pictures or your painting with your own hands or something more creative (only relates with natural world). So try to make an internet blackout for one day, log off your online social activity (facebook & twitter) and create some creative from this original world.